Mervyn G. Wilcox served as a Camp Kennaway Skipper in 1955. 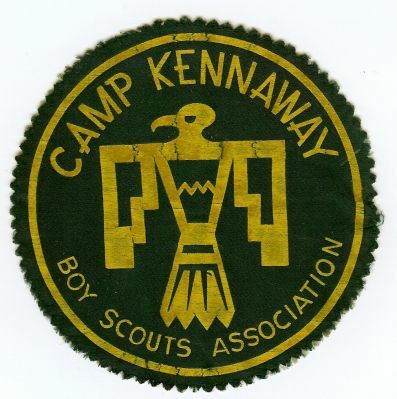 I just happened to trip over the site for camp Kennaway while wondering if the camp still existed. I was a member of staff for the 1955 year composite camp and was a Skipper. I spent the whole summer at Kennaway except for a trip to Blue Springs where I took my Wood Badge camp segment before returning to Kennaway. Although time has dulled some memories I still have many fond memories of that summer and especially after reading the staff list for that year. I believe that one of the names that is missing is that of Mervin Mince (spelling may or may not be correct) who I believe was the camp custodian or maintenance person. I believe he was a local (Halliburton) and worked at the camp. I believe he was a lay minister at a Pentecostal church in the area as well. It is good to see the camp is still in operation after all these years and I hope in the not too distant future to take a holiday in the area and drop into the camp. Hope I have given you a small amount of useful information.